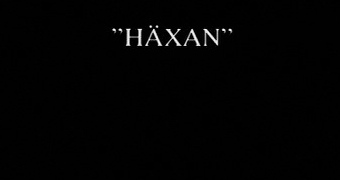 In 1922 Sweden got the first glimpse of Benjamin Christensen’s Häxan , a film that only pretends to be educational as an excuse to show reenactments of witchcraft and torture. It’s an approach that would later allow movies to show scenes of debauchery and depravity despite censors. Movies tackled issues such as drug use, sexual diseases, and artificial insemination in order to educate audiences just enough to get away with titillating them as well. My favorite example (1934’s Maniac ) includes grave robbing, necrophilia, murder, resurrection of the dead, and countless other unsavory acts while occasionally dropping in a sanctimonious text crawl about mental illness. While Häxan isn’t quite on that level of deception, it does delight in showing recreations of jug-band unholy sabbaths, naked women in silhouette, and the moment before torture commences. Being a nominally enlightening movie, there is no real story. There are some longer vignettes, some of which are build into longer stories. The most frequently visited narrative starts with an elderly woman being blamed for a man’s illness. She is seized by the German Inquisition and tortured until she confesses to things that never occurred (but which are lovingly recreated for film). As a result more women are captured, including the wife of the man whose disease started the hunt. The inquisitors focus on her when one of their number feels attracted to her. She is then deceived into condemning herself in an effort to save her child. This is all told in fragments, as each visitation to the scenario serves to illustrate a particular aspect of supposed witches or their pursuers. Just a small gathering of friends. The film is also broken up, structured into seven parts that are meant to build from the first section’s overview of paganism (a few distortions of Persian and Egyptian mythology) and Early Christian cosmology into a close-to-the-mark-without-getting-it equating of witch “symptoms” with hysteria in the conclusion. Christensen seems to sense that the psychological diagnosis was yet another misogynist construct; but he backs away from outright denunciation, noting that at least a nice hot shower in a sanitarium is preferable to being burned at the stake. The overall tone is sympathetic to the accused witches, but this empathy is readily undermined whenever the opportunity arises to show what Christensen tells us never happened. This effort to have the eaten cake leaves me questioning his scholarly motivations. It is a frustrating film, because so much could have been done with it either as an actual story, as social commentary, or as documentary (a form deceitfully exampled by Nanook of the North , also released in 1922). Yet it is fascinating for being an early template for today’s parade of UFO and Bigfoot shows on supposedly educational channels. Did I enjoy the film, or did I loathe it? You decide! The other B-Masters looked at me askance when the scene where the Devil suddenly whacks the praying nun with a two-by-four caused me to cackle aloud for several minutes. It’s the frenzied dancing on the cross that gets me. You can almost hear the witches giggling like drunk college students.